From hyperloop to flying cars: are these technologies the future of transport? Changes to transport will affect us all – the question is whether you're ready. When I was a child, I was not distracted by a screen. When I wasn’t outside playing, I was inside reading. I read everything I could, from comic books to mysteries, and I would daydream about what the world could look like. One of my favorite visions was inspired by an ad on the back page of LIFE magazine, for a $3.95 hovercraft kit, promising to give users the ability to “float on air”. I had a plan that I could build it and “fly” roughly a foot off the ground to school and – since the weight limit was 200 lbs, I could cart my siblings or friends with me. That dream never became a reality, but fast-forward a few decades and suddenly the seemingly implausible ideas on transport that inspired the stories of the past are anything but fiction. Last-mile offerings, self-driving cars, high speed hyperloop tunnels, and flying taxis – are all suddenly a part of our real lives. If the transit industry continues to advance at its current pace, our imaginations will have to catch up to reality rather than the other way around. We have to use the state of cities today as the starting point. The UN predicts that two-thirds of the world’s population will live in cities by 2050. Given the problems we already have with transport, one can only imagine what things will be like in the near future. Four major issues emerge, all of which can be solved by reimagining what was previously deemed possible. Speed: America's rush-hour commuters waste 42 hours a year on average. Congestion is crippling our productivity. Access: Reasonable access to high-quality, fairly priced transport options is not enjoyed by all, resulting in multi-hour commutes and a negative impact on every part of people’s livelihoods. Economics of owning a car: Individual cars are utilized roughly 4% of the time. The expense required to maintain, insure and drive a car – not to mention the physical infrastructure of parking garages and driveways – makes for an untenable economic reality. We are nearing the time where it will be financially irrational to own and drive your own car. Last mile: The last-mile issue has plagued many cities: it’s simple to get into most cities, but navigating the last mile to your destination can be fairly tricky. If you live in an urban area, you’ve probably asked yourself more than once how you can get from closest public transport station to your final stop. 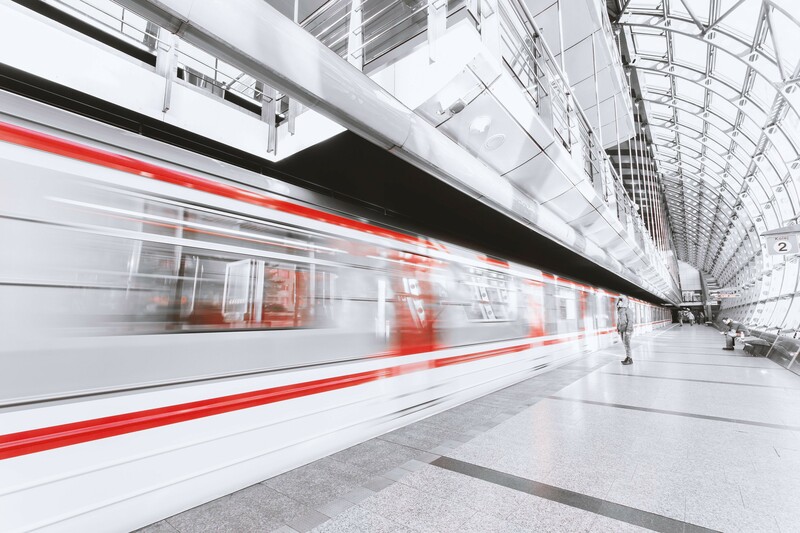 The advent of the smartphone over the last decade has ushered in the opportunity and capability to connect the dots across technology and physical transportation. With a press of a button a car can pick you up, and in the near future, that car may not even have a driver, and within 10 years that car will probably have wings. A host of options have been created to solve these problems. Here's a closer look some of the solutions that could represent the future of transit. We may have imagined that the vehicle of the future would be more sophisticated than two wheels and handlebar – yet one of the most important transit innovations actually revolves around an invention that’s over 100 years old. Utilizing modern technologies such as GPS, mobile-payment systems and Bluetooth, bicycle/scooter sharing is a global phenomenon and one of the fastest growing trends – and helps solve the last-mile problem. It took Uber five and a half years to deliver a billion rides, and its Chinese competitor DiDi only 10 months. 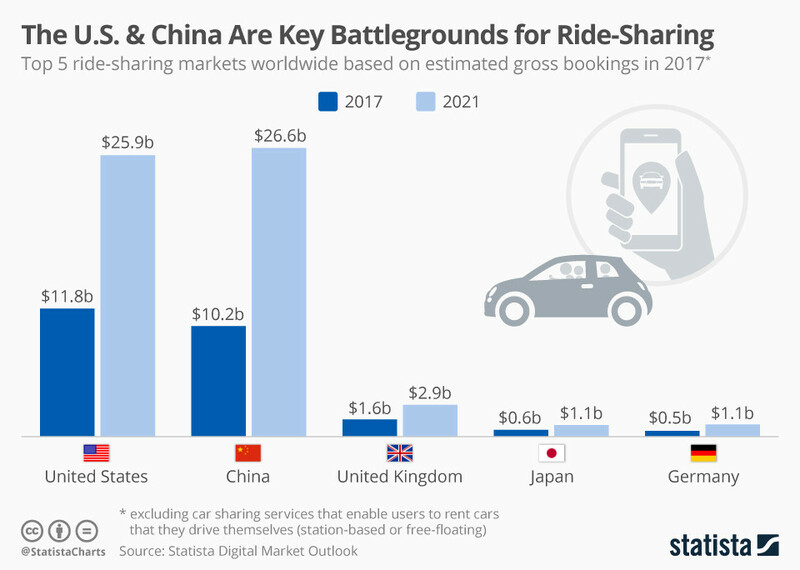 Ridesharing flips the economics of owning a car on its head, with the capital and operating expense spread over a large number of daily customers. Over the next few years, autonomous ridesharing will become more available, driving down the price exponentially. Waymo cars – formerly Google’s self-driving car project – cover 25,000 autonomous miles per day on complex city streets, and are launching live passenger trials in Phoenix soon. We’re not far away from a world where you could live 200 miles from your job and be there in under 30 minutes. The impact this will have on where people choose to live will be immense. Hyperloop is a revolutionary step in ground transportation, and today we see today several companies leveraging the technology – such as Arrivo, with a live pilot starting in Denver; Boring Company, which has plans to build a tunnel in Chicago; and Virgin Hyperloop One, which has a full-scale track in Las Vegas and plans to be operational in five years. There is a growing feeling that whatever we do on the ground is not going to be enough: passenger demand is not static. Congestion won’t be solved without something dramatic shifting in how we think about the problem. When building residential real estate on a limited land footprint, we’ve grown up into the air. The same will be true for transport: we need to move to the sky. With so many different incoming technologies, the already-growing transit sector is set to see massive expansion and is guaranteed to impact not only immediate industries such as travel, delivery and defence, but also every other orbiting vertical. Take litigation as an example: with the emergence of driverless cars, the legalities and liabilities of traffic will likely change, especially considering that 94% of current accidents are caused by human error. The healthcare industry is set to lose $500 billion a year thanks to the safety functions built into autonomous vehicles. Even the public sector will have to make significant adjustments as most police departments in major cities dedicate 80% of their resources to traffic control. Because these advancements have cross-industry impact, it is critical that organizations of all backgrounds and specialties get involved in shaping this new world. If we want to make the most of these revolutionary innovations, then we need to start having cross-industry discussions about the future of transit. No matter where you sit in the value chain, you need to be collaborating, and collectively we need a framework to respond. While there are many unknowns regarding the future of transportation, one thing is certain: it’s going to affect us all. What will transport look like in the city of the future? Is this the future of transport systems?